Can you name a better month of gaming than this one? In a way, the entirety of 2018 has been building up to this very month. Hell, this past week has been one of the most exciting for gamers with two massive titles we’ve been watching develop for years finally released. Dragon Quest XI and Spider-Man are just two games in a month absolutely packed with heavy hitting titles. Throw in Shadow of the Tomb Raider, The Bard’s Tale IV, Valkyria Chronicles 4, and a new season of Life is Strange, and you start wondering if this is the best month of gaming the industry has ever seen. It’s certainly the best 2018 has seen and the idea of a great month of gaming had me looking back this week at the years before with one calendar month of releases that stood tall above the rest. In my 33 years, I’ve seen many great months for games dating all the way back to the SNES era, but there is one month in particular that has always stuck out to me as truly memorable: May 2010. The full extent of the gifts of that month wouldn’t be apparent to me for some time after, but I remember in the weeks leading to it that May 2010 was going to be the best month. For one, this was the month Super Mario Galaxy 2 would release. Arguably one of the greatest games ever created, Mario or otherwise, it would be one of three games to devour my free time that month. The final entry in the Trauma Center franchise, Trauma Team, and DSiWare exclusive X-Scape also ended up in my collection, the latter capping off some great weeks of gaming. Those three titles are still special to me, but it’s the other games that released that month, the ones I didn’t play for weeks and, in one case, years later that cement May 2010’s status. Games like Alan Wake, Bit.Trip Runner, Skate 3, and 3D Dot Game Heroes. This is the month that saw three amazing racing games — Split/Second, ModNation Racers, and Blur — cancel each other, effectively ending any shot at a franchise. It’s also the month that gave us Red Dead Redemption, which remains one of the best open-world games ever produced. May 2010 was 31 days of Game of the Year potential and I’d love to see what the Destructoid staff has to say that’ll top it. Being the grumpy old man that I am, I was obviously going to go with a year from my childhood, but which exact one? Well, I happened to be alive in 1998, the year industry-defining classics were coming out left and right. Since the prompt asked us to limit it to one month, I figured November 1998 was the best answer. 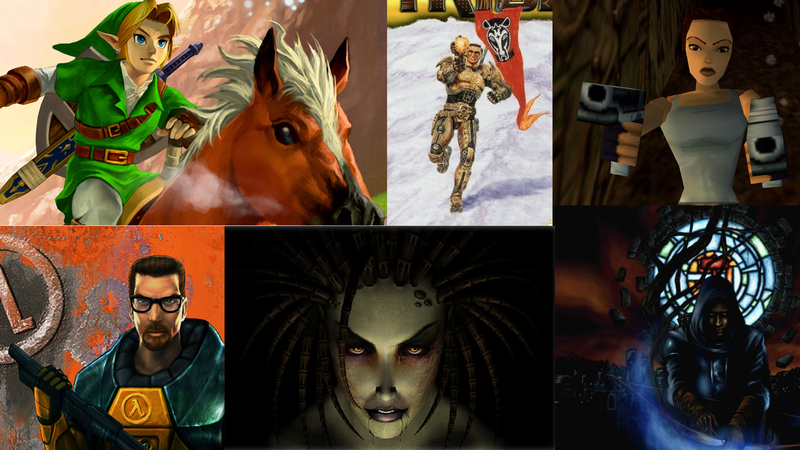 It not only saw the release of The Legend of Zelda: Ocarina of Time, but the original Half-Life as well. 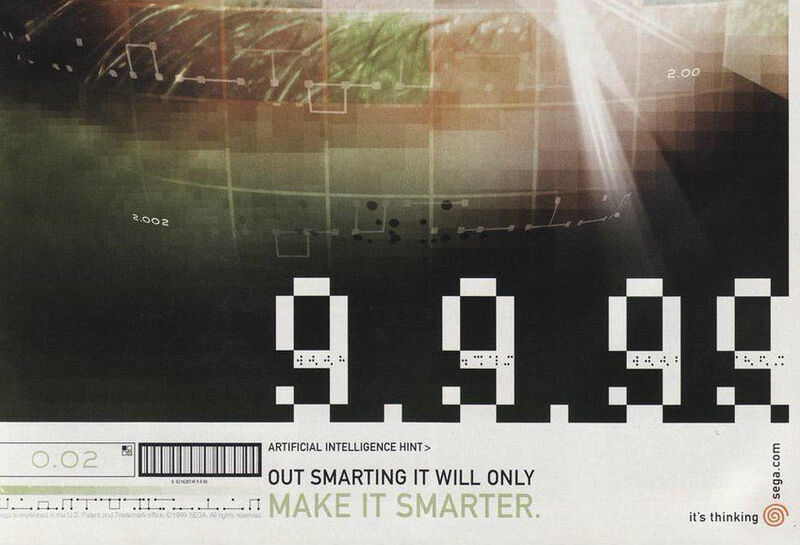 Along with those two phenomena, Tomb Raider III hit the PlayStation, Starsiege: Tribes jetpacked its way to PCs, Thief: The Dark Project cemented Looking Glass Studios as a force to be reckoned with, Dance Dance Revolution finally transitioned to home consoles and StarCraft: Brood War came out and changed the landscape of RTS games forever. To this day, nearly all of these games are still looked back on with reverence and are emulated in nearly everything we play. You really don’t need to look further than the first two titles I mentioned, though. Ocarina of Time is so important that it almost every Zelda in its wake has tried to recapture that magic. Half-Life set the trend for how shooters would be created until its sequel came out six years later, after which Valve’s second masterpiece continued to guide prospective creators. 1998’s games can be felt everywhere. We might be in a better industry now with substantial indie games coming out left and right, but very few periods have ever matched the paradigm shifts we saw from multiple titles in 1998. That one month can even be called better than another from that year is a little ridiculous, especially when classics like Metal Gear Solid, Resident Evil 2, Unreal, Panzer Dragoon Saga, Turok 2: Seeds of Evil, Baldur’s Gate and Banjo-Kazooie also released months apart. Until we see just as many industry defining games in another period, I don’t think I’ll ever stop believing 1998 was the best year for the industry. No, that format isn’t necessarily a “month” per se, but September 9, 1999 was a killer day for gaming that went beyond a marketing ploy. Most people who remember the day cite the release of the Sega Dreamcast — which launched with Sonic Adventure and the first Soulcalibur — as the chief reason for the blowout, but my eyes were on (ha) Final Fantasy VIII, which released the same day. I took it home and basically didn’t stop until I beat it. I had been shoveling snow that prior winter almost every day and finding every odd job I could to save up for that September, which was especially killer as I would also go on to pick up Tony Hawk’s Pro Skater, which arrived right at the end of the month (September 30). Prior to that, Legacy of Kain: Soul Reaver, Syphon Filter, and Gauntlet Legends launched on PlayStation in August and drained a lot of my funds (thank God for “Two for Tuesday” rentals at my local non-Blockbuster video store). That’s an insane amount of genre-spanning games to play in a one month period. There was something for everyone! It isn’t often CJ gives a prompt for one of these and I have a response immediately, but this one is so clear in my mind, there’s no other answer. The greatest month in gaming was November 2007. Let me just enumerate some of the titles that showed up then. It was the early stage of the console generation. The Xbox 360 had been out for two years, the PlayStation 3 and Wii only one. It was the perfect time to strike with a new, big IP. And plenty of studios took that opportunity for it. BioWare’s Mass Effect would be the beginning of a huge sci-fi epic told over three games. Harmonix’s Rock Band would basically define party games for the next five years. And though the first entries in each series may have been lackluster, Naughty Dog’s Uncharted and Ubisoft’s Assassin’s Creed became undeniably successful franchises. Heck, even the sequels had huge impacts on gaming. Call of Duty 4 was the prototype for first-person shooters ever since. RPG-style progression and unlocks were previously unheard of until the first Modern Warfare title, but since they have become the standard. Super Mario Galaxy took the most famous character in gaming to such an inventive and engaging place that it got its own sequel later. Contra 4 revived a long-dead series and showed it could still be rad as heck. 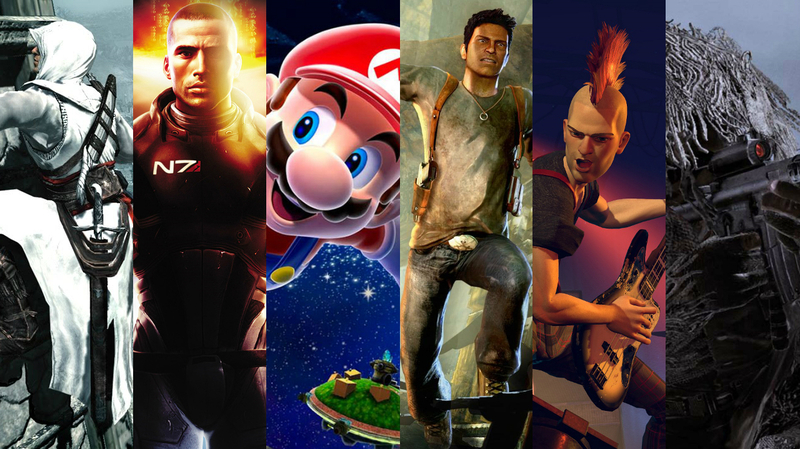 In November 2007, so many studios brought their biggest new ideas to the table, and many changed the entire gaming landscape since. Sometimes in life, the interesting occasions are the ones where you can find something positive out of a moment where a negative thing occurred. June 2016 may be known as the time when Mighty No. 9 disappointed Mega Man lovers everywhere, but I felt that more good things came out of this period. During the month’s early weeks, Guilty Gear Xrd Revalator, Odin Sphere Leifthrasir, and Kirby: Planet Robobot launched in North America. Compare to that one tragic incident, we had the sequel to a fighting game that did a great job in giving us 3D models that felt like hand-drawn characters, along with a remake of one of Vanillaware’s amazing treasures. Then we saw Kirby pierce the heavens as he takes on bad guys and full course meals with his own trusty mech. Even when the dreadful day arrived, a superior title came out and made us cry in a good way. 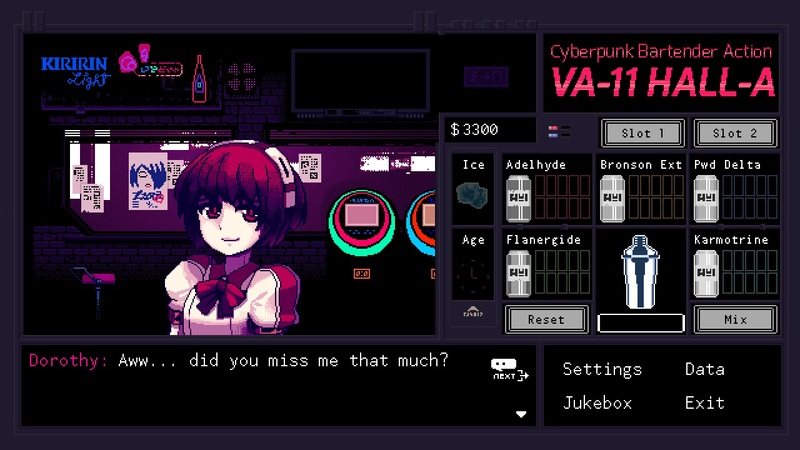 Part of it was thanks to VA-11 HALL-A doing a phenomenal job in making us feel like a bartender in a cyberpunk setting. We saw the cast try to make the best out of each day, which made each work shift worthwhile. Afterward, Tokyo Mirage Sessions #FE arrived to keep people occupied while they waited for Atlus to finish Persona 5. Also, it was neat that the final product was an unexpected result from two studios joining forces. During the final moments, God Eater Resurrection provided us with another hunting game outside of Monster Hunter. From what I played of it, I wouldn’t be surprised if Monster Hunter World’s changes to its ranged weapon-related mechanics and areas were inspired by it. Then we reached the grand finale as Zero Time Dilemma brought the Zero Escape series to a close. While I haven’t touched the trilogy, this served as a great moment for those who were yearning for a release after Virtue’s Last Reward. Considering that this installment was on hiatus, it shows how a small glimmer of hope can turn things around. At the end of the day, this scenario shows that we can find a treasure trove of great things if we look beyond the bad stuff. Those are the months of gaming we think are the absolute tops, but surely the Destructoid Community has some ideas of their own of which ones can top ours.